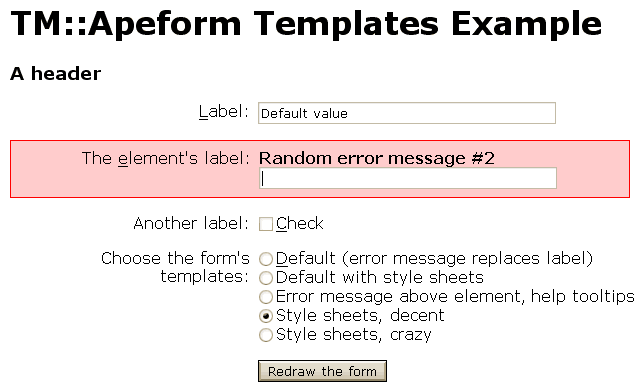 TM::Apeform creates self repeating web forms, so called "Affenformulare" (German for "ape forms"). If a million apes is typing into the form (that's the "Infinite monkey theorem"), the form is displayed again and again as long as it contains errors. 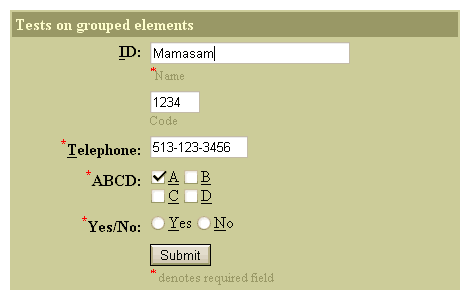 - The usage is not different from the creation, validation and processing of the form values that the user entered. Everything is done in a single script. - The class hides the access to POST and global variables and simply returns the submitted values. - It offers an easy way to handle input errors (checking valid email addresses for example). - It supports all form elements including radio buttons, select boxes, file upload fields and so on. - It provides an own templating system, so you do not have to deal with HTML at all. - It creates labels and access keys according to HTML 4 standard and returns XHTML compatible output. TM::Apeform is optimized to be used with the minimum amount of source code. 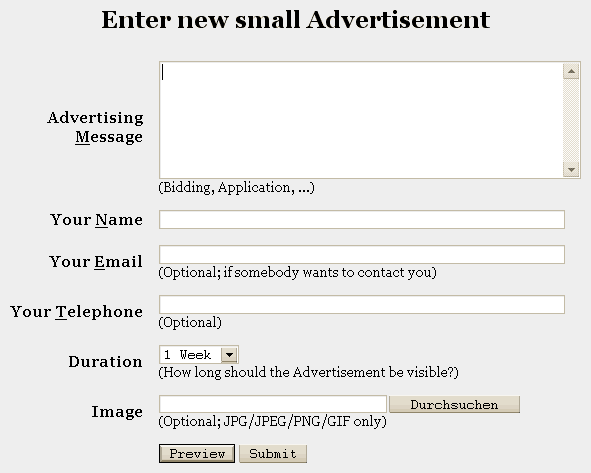 For example, the following script is a full functional form mailer. All forms in this project are done using TM::Apeform.